Keeping up with your vehicle’s routine maintenance schedule is crucial to the health and longevity of your car. Routine maintenance services are done about once or twice a year, and are usually just a quick stop by the shop to change your oil and make sure everything is working properly. 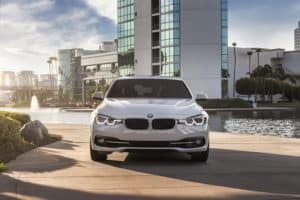 Here at BMW of Westchester we know how important it is to stay on top of these services in order to keep your car on the streets of Westchester County and Yonkers, NY, for years to come. Check out our breakdown of the BMW 3 Series maintenance schedule below! Your first routine maintenance service will happen about 6 months in, or once you hit around 5,000-10,000 miles, whichever happens to come first. This first service will be relatively quick. It will include an oil and filter change, a tire rotation, and brake inspections. You’ll want to get these services done once or twice a year for the duration of the vehicle’s life. 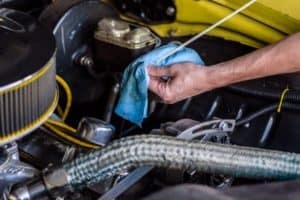 Staying on top of your regular oil and oil filter changes is crucial to your car’s health because as your engine runs, tiny bits of dirt and dust will build up in it, which can cause excessive wear and tear. Additionally, yearly tire rotations are important to maintain traction control, because they prevent your wheels from having uneven tread. Tread and traction control helps your vehicle stop quicker, and provides you with safer travels over rough terrain. Once your BMW 3 Series hits 30,000 miles, it’s time to head back to the shop for a variety of inspections and maintenance care checks. To start, you’re going to need your air filter changed, over time your air filter can become clogged, and a replacement will be needed in order for it to work at its best. If you travel in particularly dusty environments, you’ll want this changed around 15,000 miles rather than 30,000. Next, you’ll need your fuel filter inspected; your technician can perform a pressure test to determine if you’ll need it replaced. Your battery and brakes will start to wear out around the 60,000-mile mark, which is why it’s so important to get them inspected, and possibly replaced. Stop by for Your Next Maintenance Service! Staying on top of your routine maintenance services is imperative to your vehicle’s health, and will help you get the most out of it. Here at BMW of Westchester we’re dedicated to providing the drivers of Westchester County and Yonkers, NY, with high quality service every time they come in. Call or stop by to schedule your next appointment!